After all that beer and indulgence, it’s time to sober up and dig into your salad! The island hosts the annual Vegetarian Festival from 8 – 17 October, which boils down to 10 days of #Meat-free-Mondays in a row. 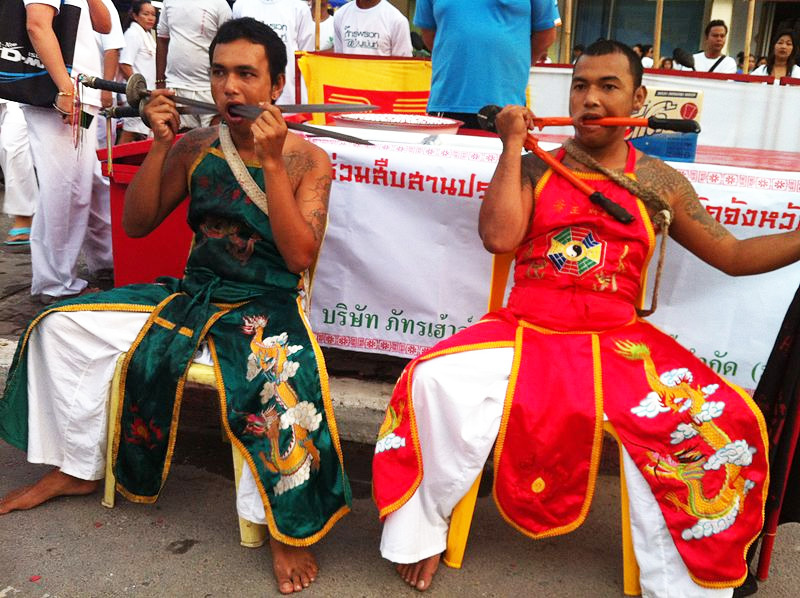 In the past, the festival, which cultivate a healthy body mind and spirit through abstinence from meat, was mostly celebrated by the Chinese community, but the tradition has been adopted by many a Phuketian, as well as visitors from all over South-East Asia who flock to the event. If German or Vegetarian food does not whet your appetite, why not visit the New Zealand Wine ad Food showcase on the 5th of October at Firefly in Cherngtalay. It celebrates the arrival of new vintage wines from New Zealand and chef Rey Ardonia’s accompanying cuisine will tantalize those taste buds. And what better way to end a month of gastronomic delights than sitting on the beach and watching surfers ride the waves. The Khao Lak surf contest and festival will run from the 26th – 28th of October and will conclude with a Sunset Surfer Party not to be missed.